Go forward in time to September 2009. So, now that Maemo 5 has been officially launched and the N900 phone has been unveiled I guess now I can tell my parents what I was doing in Finland. I've been neglecting this corner lately, so I'll try to give a quick summary of what has been going on lately. Weekends since in A Coruña have been pretty active, mostly thanks to the kind Antía, who has been showing me the wonders of Galicia. A few weekends ago, we travelled through	Vimianzo, Camariñas, Cabo Vilán, and the Praia do Lago to end up at the festival Cultura Quente '09 in Caldas de Reis, where among others, The Wedding Present was playing. 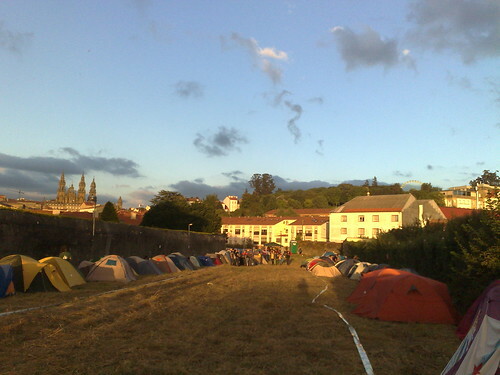 Last weekend, was the time for the Festas do Apostol, in Santiago de Compostela. I met a good bunch of nice people on the travel there, enjoyed the fireworks burning the Catedral de Santiago, and the tons of bands playing at the festival. The Festas do Apostol seem to be very important and one of the biggest touristic attractions in Galicia, so I'm glad to have been here in time. On Saturday, I was planning to attend the religious service at the Catedral, including the traditional Botafumeiro swinging tradition, but the sleeping conditions in the tend didn't allow proper sleep and I overslept and didn't attend it in the end. The weekend continued with a trip through several small towns and beaches on the Atlantic coast, including Ribeira, Porto do Son (where the great SonCelta festival was taking place), Noia, and the Igrexa at the Rio San Xusto. 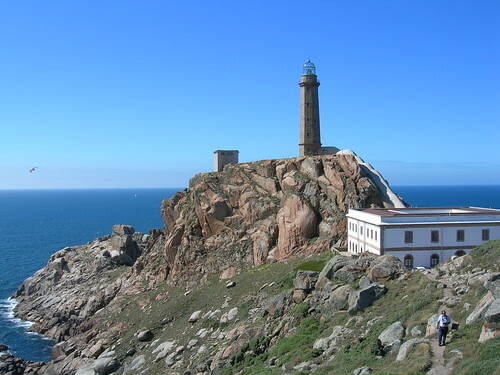 Galicia is full of beautiful towns and beaches and I guess it would take a lifetime to know them well enough. Go backwards in time to July 2009.